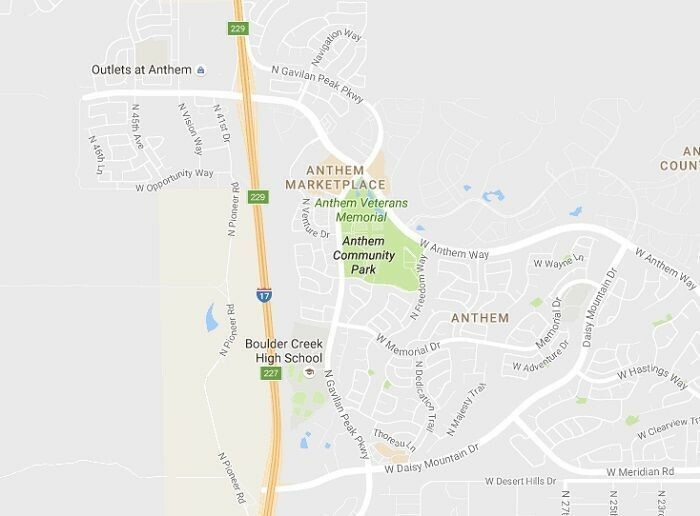 Anthem is located just north of Phoenix, off of the I-17 Freeway, and it is known for its outlet shopping, scenic parks and trails for hiking, biking and running. The residence is less than 20 minutes from Central Phoenix, and a scenic, 30-minute drive from Old Town Scottsdale, where you can find many options for healthy and trendy dining, boutique shopping and high-end shopping, and fabulous nightlife destinations. It’s also just 30 minutes from Sky Harbor International Airport. The Anthem Community Center and the Civic building are both benevolent additions to the social, cultural, civic and educational values in the neighborhood. The Community center is known for state-certified child care and camps for kids of all ages. Ready to find a home in Anthem? Our real estate agents can help! Contact us today to get started. There are at least 30 public golf course nearby, and several private courses as well.